SMSvcHost.exe is a legitimate file. This process is known as MSvcHost.exe and belongs to Microsoft. The .NET Framework and developed by Microsoft Corporation. It is commonly stored in c:\windows\microsoft.net\framework\v3.0\windows communication foundation\. The malware programmers or cyber criminals write different types of malicious programs and name it as SMSvcHost.exe to damage the software and hardware. How to check if your computer is infected with SMSvcHost.exe malware? When one of these happens then you can be sure that your system is infected with setup.exe malware. To confirm that go to task manager by pressing the combination of keys ctrl+alt+del and go to the process tab and right click on the SMSvcHost.exe and open the location, if the location is c:\windows\microsoft.net\framework\v3.0\windows communication foundation\ files then the system is not affected by SMSvcHost.exe, if the location is somewhere else then the system is affected by SMSvcHost.exe malware. How to remove the SMSvcHost.exe file from system using Comodo Antivirus? 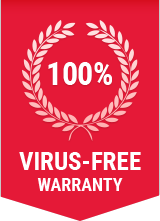 Step 1: Download and Install the award-winning Free Internet Security. Step 5:Comodo Internet Security takes sometime to update the Virus Protection Software. Step 8: Comodo Antivirus will remove the SMSvcHost.exe virus and all other malware from your computer!